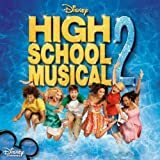 Accueil Bande originale Paroles Chansons Bet on it – Paroles de la chanson dans “High School Musical 2”. Bet on it – Paroles de la chanson dans “High School Musical 2”. Paroles : Antonia Armato et Tim James. Everybody’s always talking at me. Everybody’s trying to get in my head. I wanna listen to my own heart talking. I need to count on myself instead. Loose yourself to get what you want. Get on a ride and wanna get off. Push away the ones you should’ve held close. Did you ever let go ? Did you ever not know ? I’m not gonna stop, that’s who I am. I’ll give it all I got, that is my plan. Will I find what I lost ? Bet on it, bet on it. I wanna make it right, that is the way. To turn my life around, today is the day. Am I the type of guy who means what I say ? How will I know if there’s a path worth taking ? Should I question every move I make ? With all I’ve lost my heart is breaking. I don’t wanna make the same mistake. Doubt your dream will ever come true. Blame the world and never blame you. Try to live a lie again. I don’t wanna win this game if I can’t play it my way. Am I the type of guy who means what I say. Give me room to think. Gotta work on my swing. Gotta do my own thing. To see yourself and not recognize your face. Out on my own, it’s such a scary place. The answers are all inside of me. All I gotta do is believe. Not gonna stop ’til I get my shot. That’s who I am, that is my plan. Will I end up on top ? You can bet on it, bet on it. You can bet on me.